April is an exciting time to be in Asheville. 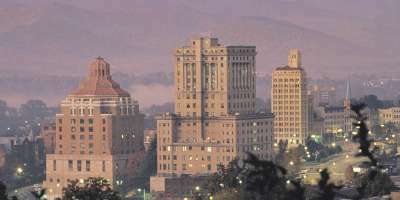 It&apos;s a time when Asheville ushers in a renewed energy for spring. This weekend is the kick off for many of the beloved Asheville events and happenings that occur throughout the warmer months. You’ll find celebrations of art, music, beer and culture. Local tailgate farmer&apos;s markets spring open, offering farm freshness. And flowers burst into bloom at Biltmore and along the trails throughout the mountains. Join in this month-long celebration of craft beer! Many of the Asheville area’s 38 breweries will host special tastings and events throughout April as part of North Carolina Beer Month. Thirsty Monk kicks off NC Beer Month with the NC Belgian Beer Fest at Thirsty Monk Biltmore Park all day Saturday (April 7). This small-scale festival will feature a selection of North Carolina breweries on tap. Admission is just $10. BREW-ed is offering customizable brewery tours during NC Beer Month. 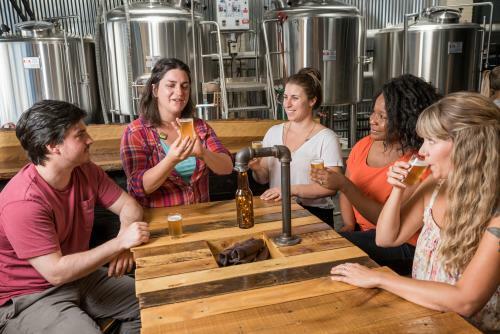 For groups of six people or more, BREW-ed’s internationally-recognized expert tour guides will lead your group to some of the best breweries Asheville has to offer! Just tell them what kind of beer you like and the guides will take care of the rest! And, Asheville Wellness Tours is teaming up with Ginger’s Revenge for a spring yoga series at the brewery! Enjoy an hour of yoga plus a snappy ginger beer every Saturday in April from 12:30-1:30 p.m.
Friday (April 6), 5-8 p.m. This Friday, Majik Studios, located in the Refinery Creator Space (207 Coxe Avenue) will host an “Art Jam.” There will be multiple art projects to choose from and you’ll be able to participate as much as you’d like! Projects will include metal stamping, drawing, oil painting, fiber arts and more. No experience is needed to enjoy the fun! Blue Spiral 1 Gallery will host an artist talk with Philip and Matt Moulthrop known for their incredible turned wood sculptures. The talk is free to attend. The Tracey Morgan Gallery presents Four French Photographers, a group art exhibition through the eyes of master photographers Edouard Boubat, Robert Doisneau, Bernard Plossu and Philippe Salaun. Also, popular restaurant Farm Burger hosts its first-ever artist appreciation night with work by three local artists on display and for sale. All three artists will be there to introduce themselves and answer your questions about their artwork! First Fridays, April through December, 5-8 p.m. The ultimate local music, art and beer experience awaits you in downtown Asheville! The first Friday Downtown Art Walk also marks the beginning of the 3rd Annual Glassworks Concert Series at Lexington Glassworks! The concerts are the first Friday of each month and feature glassblowing demonstrations, local craft beer and live bluegrass music. The event is free to attend. These concerts are among the many great events you can experience during the Summer of Glass in Asheville. From May through October 2018, the community will celebrate a tradition of glass art and the talented artists of Western North Carolina. 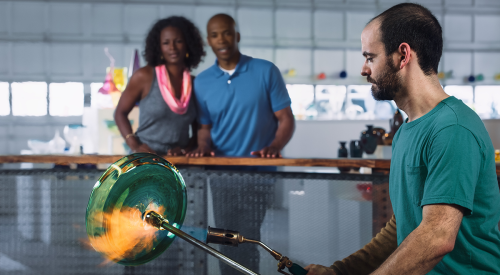 The Summer of Glass is happening in conjunction with a new exhibition at Biltmore that will showcase the monumental glass sculptures of Dale Chihuly (May 17-October 7, 2018). 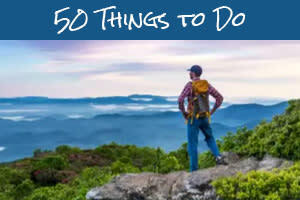 Celebrate the arts with this three-day festival at the University of North Carolina at Asheville! Storytelling, music and dance, crafts and exhibitions highlight the Arts Fest this Thursday through Saturday. The festival culminates with the Saturday Festival on the Quad – a combination outdoor concert and crafts fair with interactive activities. While most of the festival&apos;s activities will take place on the UNC Asheville campus, two components of Arts Fest will occur off campus in Asheville’s River Arts District: a workshop on public art installations and the 51st annual UNC Asheville Juried Student Exhibition. This year’s festival theme is intersection through the arts. All Arts Fest activities are free and open to people of all ages. Saturday (April 7), 10 a.m. – 4 p.m. 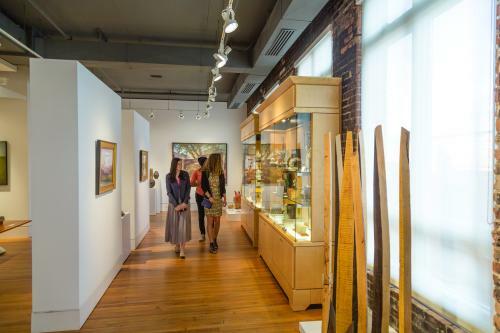 Experience a showcase of metal and glass artwork, the first in the season’s education series of events at the Folk Art Center on the Blue Ridge Parkway. Artists will demonstrate techniques in both of the media. You’ll see master craftspeople doing blacksmithing, glass blowing, piercing/soldering, knife making, copper etching and assembling stained glass. Saturdays, April through October, 4 p.m.
Ride the rails of the Craggy Mountain Line! The Trolley Train Rides follow a historic 3-mile stretch of track just north of Asheville. 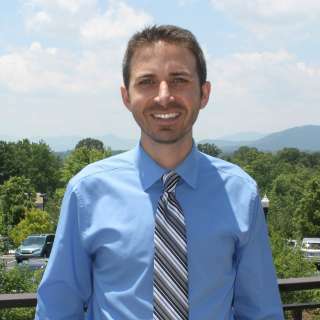 You’ll learn about the history of the Craggy Mountain Line Railroad and the old Asheville Trolley System. Admission is $10 per person. Reservations must be made in advance by phone. 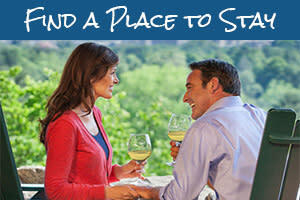 Call 828-808-4877 for more information. The beginning of April means the opening of Asheville’s nearly two dozen outdoor tailgate markets, where you’ll find fresh vegetables and other products from local farms and makers. Shop at one of these markets and odds are you’ll be shopping alongside chefs from the best Asheville restaurants. 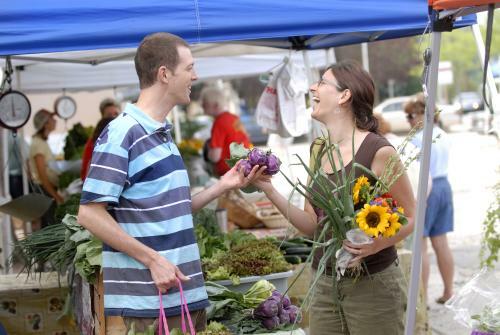 One of the largest is the WNC Farmers Market, which is open daily from 8 a.m. to 6 p.m. Asheville City Market is celebrating its 10th anniversary this year with a grand opening on Saturday (April 7). See the Appalachian Sustainable Agriculture Project guide to area tailgate markets to see open dates and times. With a blend of original soul Americana music, Ashley Heath has been recognized as the No. 1 Songwriter and No. 2 Folk/Acoustic Artist in Asheville. Join Ashley Heath and her Heathens for her album release concert at Asheville Music Hall on Friday at 8:30 p.m. Tickets are $8 in advance or $10 day of show. Ashley Heath’s show is just one of dozens of live music shows this weekend in Asheville. See our live music calendar for show dates and times. Friday also marks the opening of the theater show Mass Appeal at Asheville Community Theatre’s 35below (35 East Walnut Street). The thought-provoking comedy is presented by Attic Salt Theatre Company.